Mobile Virtual Reality is right here in Habor ! You wanna experience IMAX movies any time and anywhere? You wanna a real racing, marching in gunfire or shooing bullets in battlefield in 3D games? 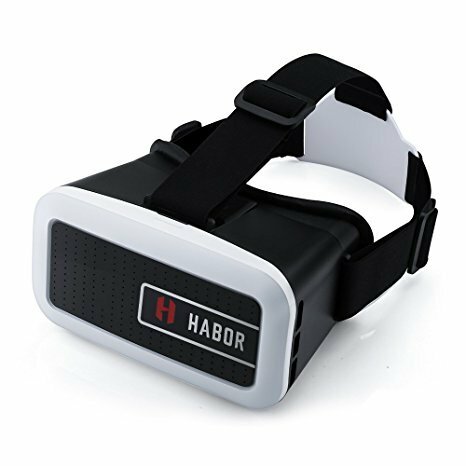 Just put on this Habor VR glasses, it immediately drop you into the action ! Compared to other VR glasses with sponge foam faces, Harbor ones with leather face is more elastic, non-sweat-absorbent, comfortable and sanitary. Ergonomic design ensures a balanced stress condition in three points on the head (concentrated on the forehead), reducing 30% pressure to the eyes, as a result, providing a lasting wearing comfort for its users. 1.Pupil Distance (PD) and Focal Distance (FD) Button need be rotated with Moderate force! 3.If you need to wear your Myopia glasses, you need to first put your Myopia glass in the headset first and wear the whole sets on head when everything is ready!